Right across the Potomac from Washington, D.C. the Northern Virginia region of the Commonwealth is an interesting blend of historic urban areas, suburban communities, and rolling farmlands at the base of the Blue Ridge Mountains. But each of these landscapes have something in common; they all are home to a surprising number of award-winning craft breweries. Out of Virginia’s over 200 breweries, Northern Virginia has about 60 craft breweries along five beer trails, offering several distinct day trips for those looking to discover what Virginia’s craft beer scene is all about. 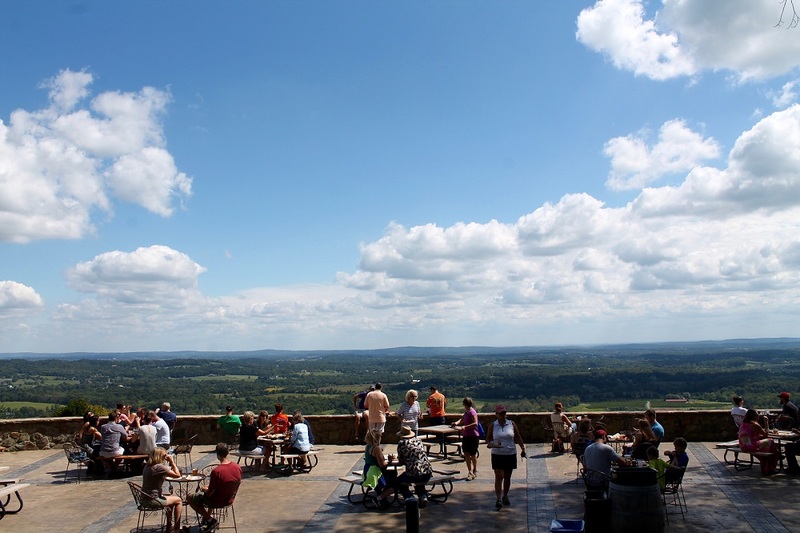 Use this guide to plan your brew-based outing along the beer trails of Northern Virginia. The 1,800 square-foot tasting room at Water’s End Brewery is bathed in natural light from the expansive glass windows, but on sunny weekends, grab a seat on the brewery’s patio, which is actually the drive-thru for the neighboring bank during weekdays. This fact speaks to the brewery’s relationship in the community, where both businesses and locals are eager to support the burgeoning craft brewery, newly opened in September 2016. Since their opening date, they have been busy formulating new beer recipes, with 28 distinct beers under their belt to date. They aim to keep about six to eight beers on tap at all times, with only a single staple remaining on the menu, their “Damn Beer”, a refreshing and drinkable golden ale. Every other beer on draft is selected from a steady supply of experimental and seasonal batches produced by the brewing team, giving you the opportunity to try new creations with every visit to the brewery. 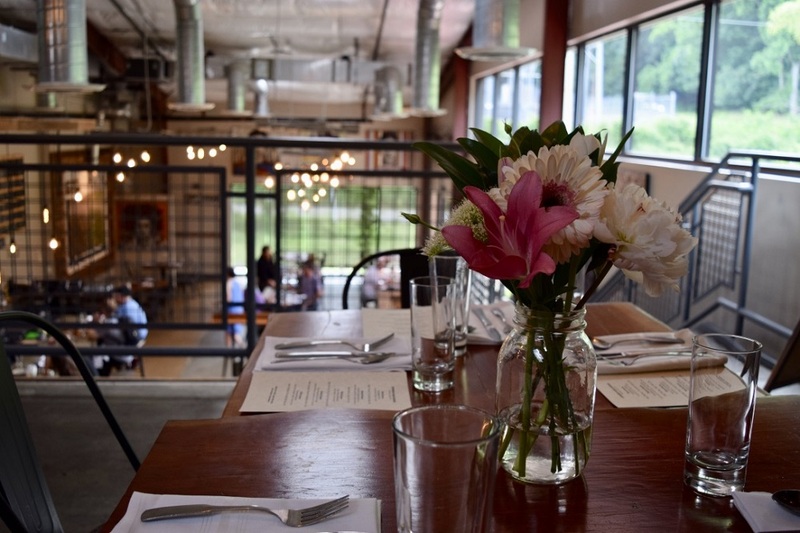 Founded in 2015, Caboose Brewing Company was the first brewery to open in Vienna, bringing a farm-to-table philosophy and a commitment to environmentally sustainable practices to both their brewing process and their food menu. They test out a variety of beer styles, and visitors should sample the flight to get a taste for their innovative brewing practices. The brewery is right off the Washington and Old Dominion Trail, making it a popular spot for cyclers to take a break from their ride and enjoy a much-deserved craft brew. 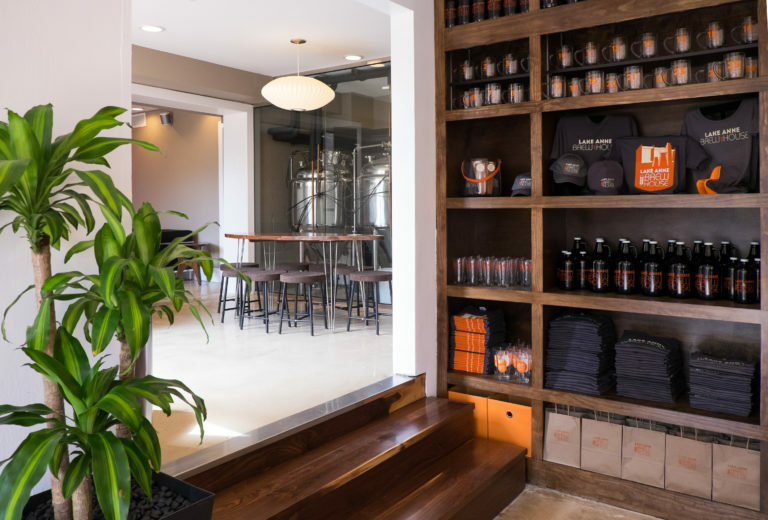 Lake Anne Brew House provides small-batch, hand-crafted beers in their nano-brewery taproom, which sits right off the water in Lake Anne Village Center Plaza. Owned by husband-and-wife team Jason and Melissa Romano, Jason runs the brewing side of the business, while Melissa brings her experience as an architect to create a tastefully minimalistic, modern style brew room. Sit out on the patio under the umbrellas to savor your craft beer with a peaceful view of the water. Heroic Aleworks is more than just a brewery; they transformed their taproom into a comic book lovers dream, with free arcade games and print editions of comic books. Each beer they craft represents a superhero or villain, with their year-round cast supported by seasonal and special release beer characters. Each character’s fate is decided by the consumers, with the favorites sticking around to join the regular menu while less-popular selections leave the team. Additionally, the craft beer “characters” are integrated into an ongoing comic storyline, illustrated by local and international artists to be published online and in limited print editions. At Heroic Aleworks, you can sample some delicious craft beers while becoming part of their ongoing adventure storyline. Brew Republic Bierworks offers a full-service tap room, with at least six of their craft beers on tap, upscale small plates and appetizers, and weekly events like live music, trivia, and yoga classes. The tap room reflects an industrial feel, with concrete floors, a rustic wood beam trellis, and hanging pendant lighting. Large glass panes section off the brewing tanks, allowing you to get a behind-the-scenes peek at their brewing process. Bring along the whole family and order the homemade root beer for the kids while you enjoy a cool refreshing pint. Blending the upscale with the casual, Mad Fox Brewing Company provides a tasting room that is comfortably warm and welcoming. The English-style gastro brewpub features an abundance of rich wood paneling, with bar seating available throughout the space. The craft beer selection consists of about seven to ten year-round brews, as well as an array of rotating seasonal beers in traditional German, English, Belgian, and American styles. Pair your craft beer with a selection off the brewery’s seasonal food menu, which utilizes local ingredients in a menu that blends American and European style pub fare. An artisanal brewery in Alexandria, Port City Brewing produces an impressive line of locally crafted ales. 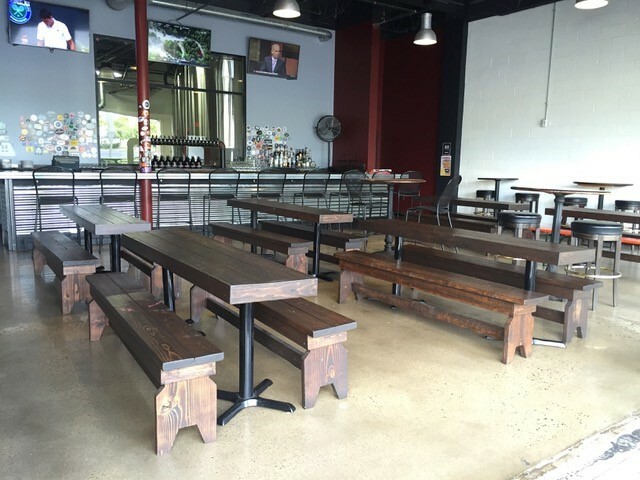 The brewery hosts weekly events for guests to try their beer while enjoying social activities, such as Joggers & Lagers, Beer Yoga, Pedals & Pints, and a full calendar of live music, trivia, and special food pairing events. 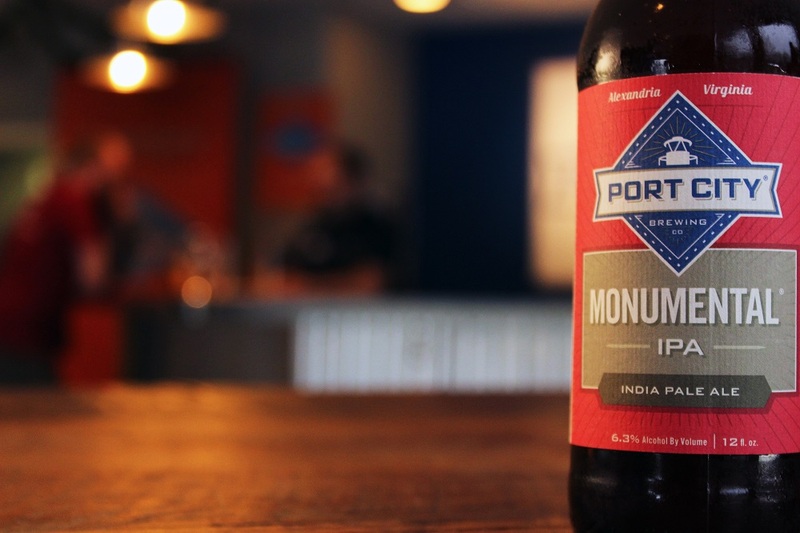 Deriving the name from Alexandria’s rich history as a notable colonial seaport, Port City also pays tribute to the city’s early importance as a major brewing center for the East Coast. From 1862-1916, the Robert Portner Brewing Company was the largest brewery in the South, only closing its doors due to the start of Prohibition in Virginia. 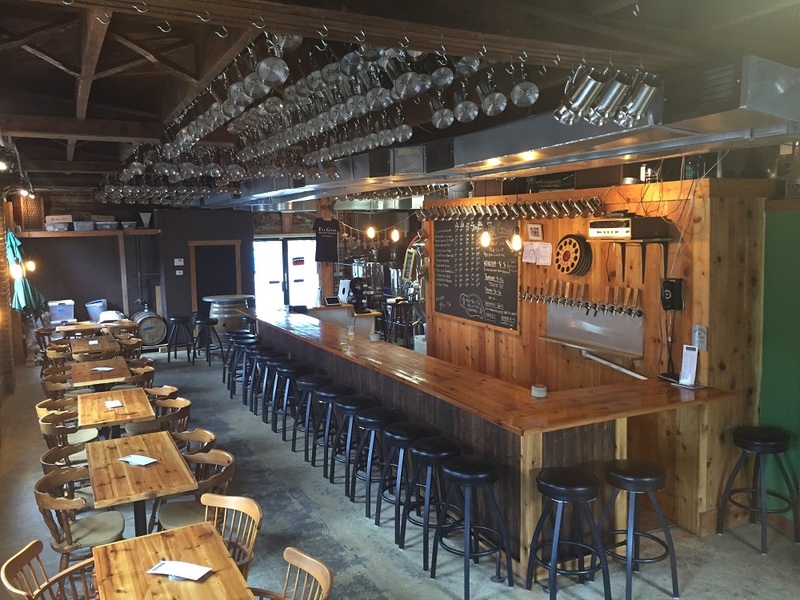 Port City became the first brewery to bring craft beer production back to Alexandria when it opened in 2011. If you’re interested in learning more about the city’s brewing history, visit nearby Portner Brewhouse, which is owned by two of Robert Portner’s great-great granddaughters. 2 Silos Brewing Co.—Manassas,* note this one is not opened yet. Located in historic downtown Fredericksburg, Red Dragon Brewery strives to bring together artists, craftsmen, and any beer lover that enjoys creative pursuits. The owners became enthralled with craft beer production after sampling a batch of home beer made by relatives, and since then, have turned the hobby into a passion-fueled career. Today, owners Tom Evans and Dan Baker encourage others to find their new passions by sponsoring weekly events inside the tasting room like Paint & a Pint night, Morning Yoga & Beer, and Nerd Nite, where local experts will bring science and other topics to life in presentations, all while you sip on tasty craft beers. Spencer Devon Brewery is a veteran-owned, family friendly brewery in the heart of downtown Fredericksburg. They keep a selection of around eight to ten beers on draft, rotating the menu seasonally to feature fresh, relevant flavors. 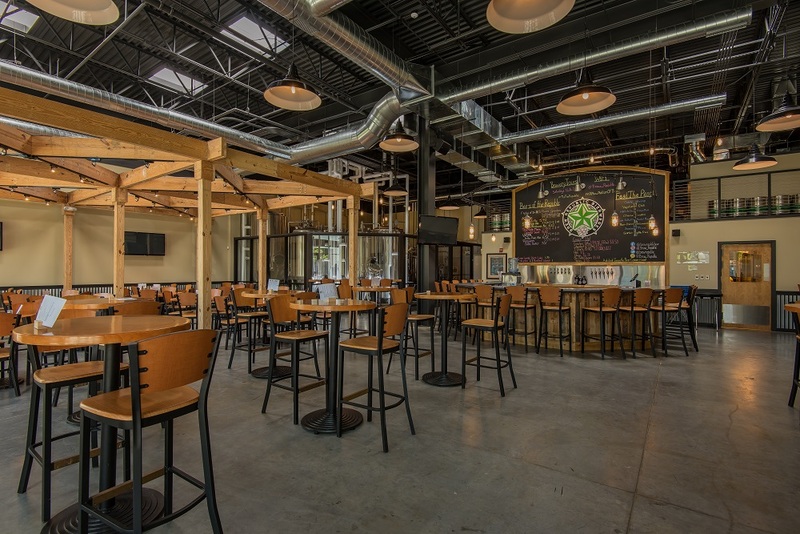 Opened in 2015, the brewery aims to go further than just providing great craft beer to the area; they work with farmers from the community on their food menu, pairing their exceptional beers with delicious food while simultaneously supporting local businesses. Weekly events like disc golf, trivia, and live music make the brewery a popular spot for locals. While the name may seem unusual, 6 Bears & A Goat refers to the owners combined military service, with six of the founders each having more than 20 years in the military and the “Goat” (the mascot of the U.S. Naval Academy) referring to the seventh founder’s service in the U.S. Navy. The brewery has four mainstay brews on draft, including a Blonde Ale, American Pale Ale, Red IPA, and an Irish Extra Stout, and these staple brews are supplemented by rotational and seasonal picks. The brewery partners with Fredericksburg food powerhouse FoodE, to serve up a world-class menu that complements their craft beverages. 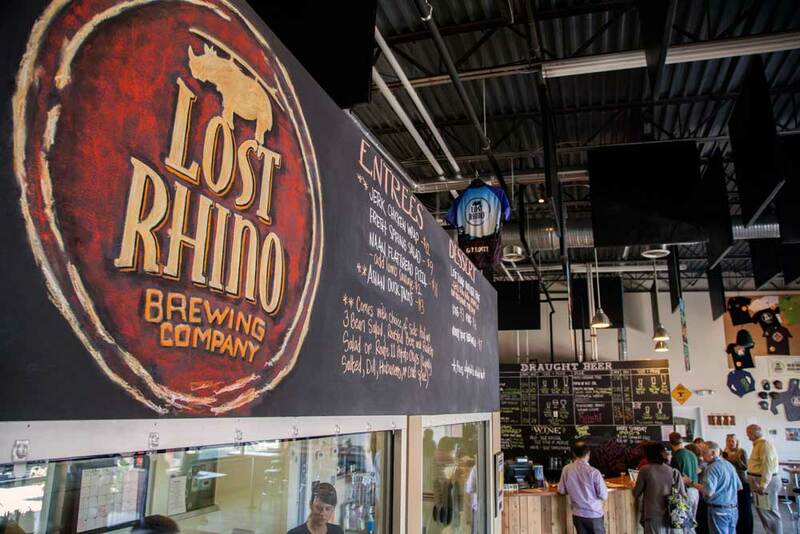 Surfers refer to riders in search of the biggest, most impressive waves as “rhino chasers”, and the Lost Rhino Brewing Company gives a respectful nod to this term for true adventurers. The owners bring inspiration from the furthest corners of the world to their brewing process, taking priding in combining local ingredients with a global perspective to create delicious craft beers. 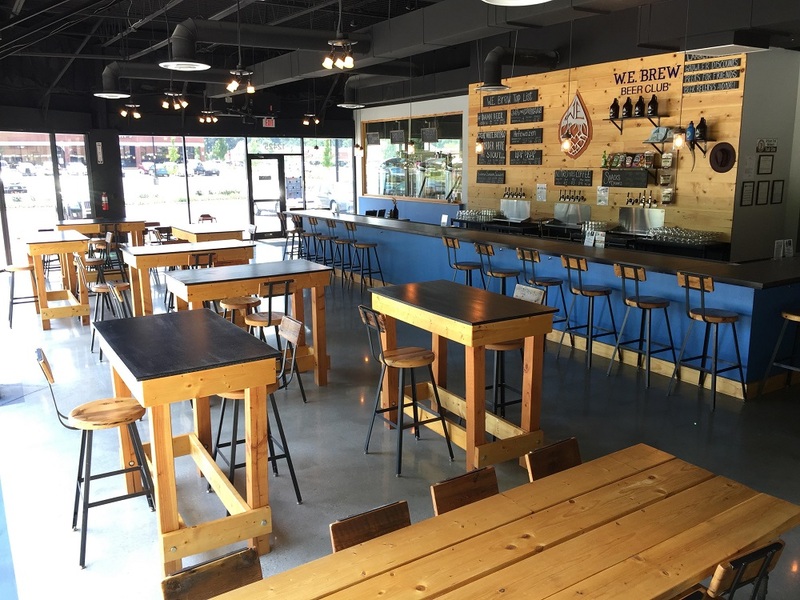 The brewery holds special events in the taproom several times a week, with everything from live music performances to the unique Bring Your Own Vinyl Night, where attendees bring their favorite records to spin for the entire audience. Belly Love Brewing Company serves a variety of traditional ales and lagers in a relaxed taproom decorated with cozy couches, a huge bar, and plenty of table seating. A rotation of eight to ten beers are kept on draft at a time, including gluten-free beer options, and are changed out frequently enough to provide a new experience each time you visit. Local Chef Karen Harper-Fuog cooks up seasonally inspired dishes to pair with the beers, changing to correspond with the brewery’s available selections. 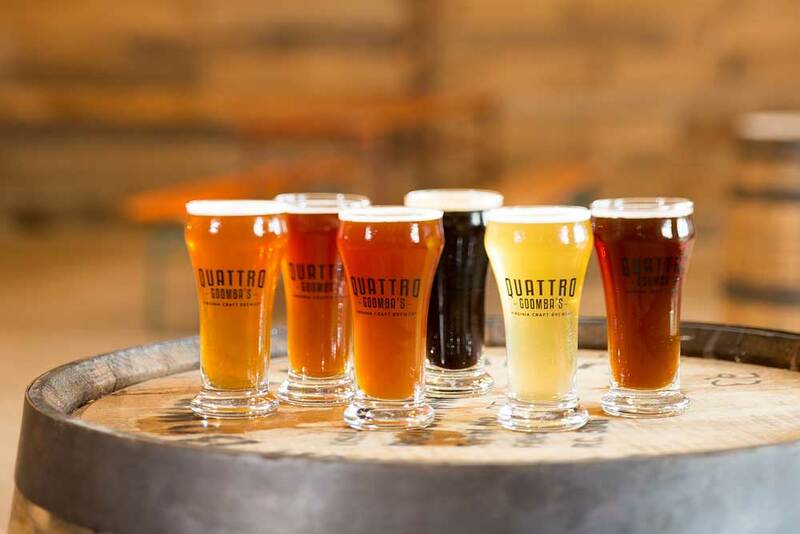 Next to their corresponding winery, Quattro Goomba’s Brewery experiments with various types of beer that will satisfy every type of palate, from the dark porters and stouts to the lighter, fruiter provisions like the La Route Frambroise, a raspberry wheat ale. 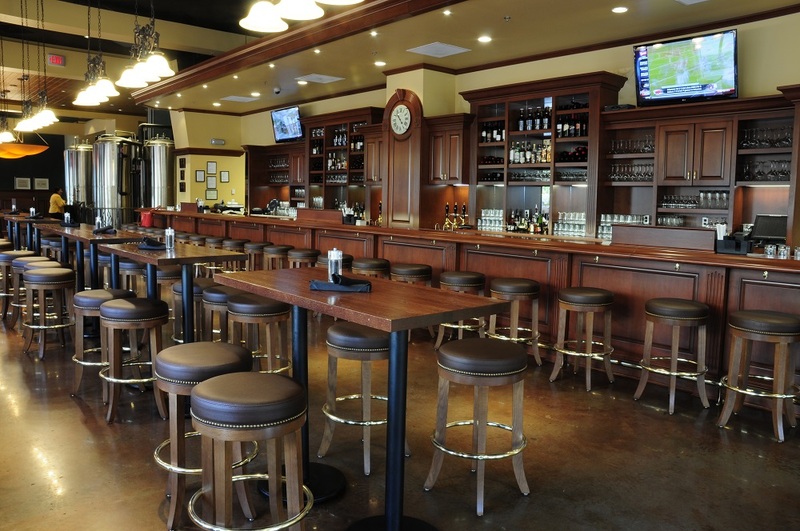 The tasting room has a brewpub menu of small bites and sandwiches to tide you over while sampling the beers; we recommend the Beer Pretzels with Cheese to share as an appetizer or the “Pig Out” Sandwich if you’re looking for a full meal. Housed in the old “Planing Mill” building, one of the town’s previous small lumber mills, Far Gohn Brewing Company offers a historic vibe that matches that of Downtown Culpeper. The brewery celebrates the German immigrants’ contribution to the American beer tradition, specializing in German ale styles such as altbier, kolsch, and sour while also dabbling in other brewing styles from around the world. 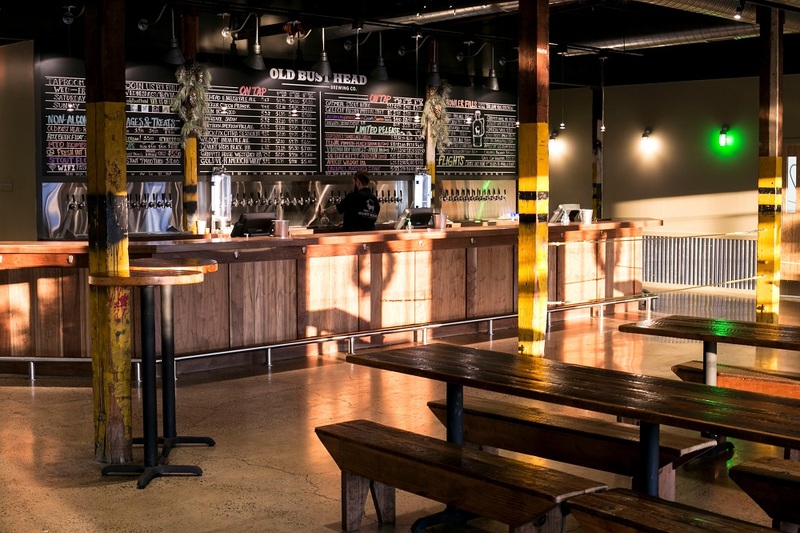 Walking into the taproom, you’re greeted by an atmosphere that is more reminiscent of a local pub than a brewery, with rustic wood paneling adorning the bar, walls, ceilings, and tabletops of the taproom. 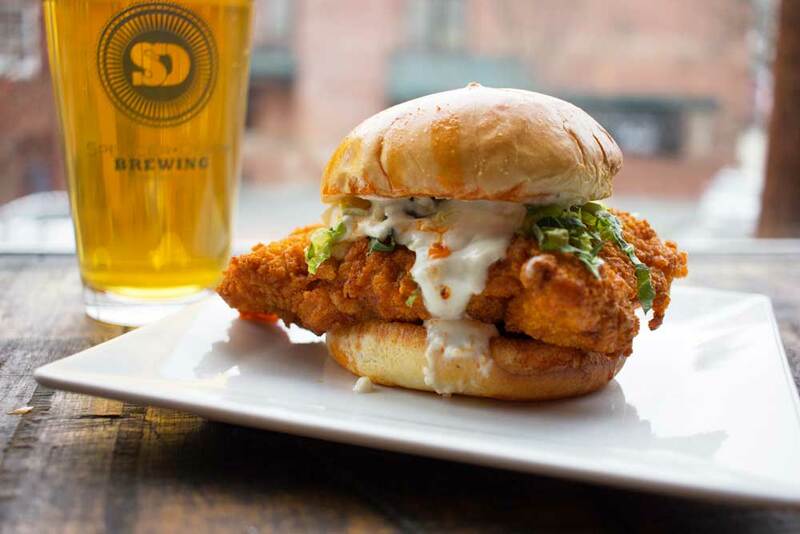 The beers at Old Trade Brewery emulate American and European farm-centric beers, creating a menu that spans the oceans and features their take on traditional styles like pale ales and IPAs as well as distinctive Belgian brews like Saisons and Lambics. The brewery utilizes hops grown on-site in conjunction with common farm ingredients, including raspberries, pecans, pears, and even honey from local bee hives. They source their barrels from nearby vineyards and distilleries, adding another layer to the flavors in their one-of-a-kind craft beers. 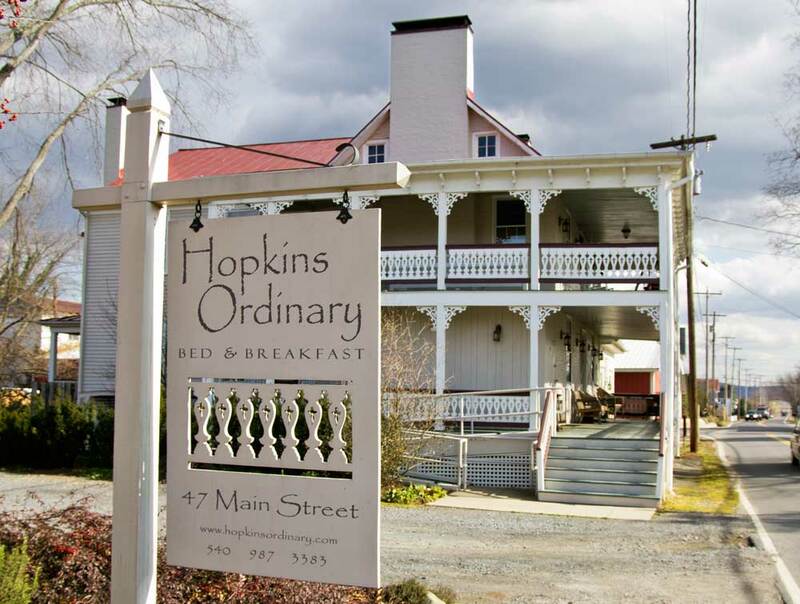 A small batch craft brewery located in the cellar of a bed and breakfast, Hopkins Ordinary Ale Works has a complimentary tasting or pint waiting for every guest, but you don’t have to stay the night to enjoy a glass of their impressive craft beer. The brewery keeps six rotating varieties on tap, all made with malted barley from nearby Copper Fox Distillery combined with other ingredients such as fruits and herbs from local farms.